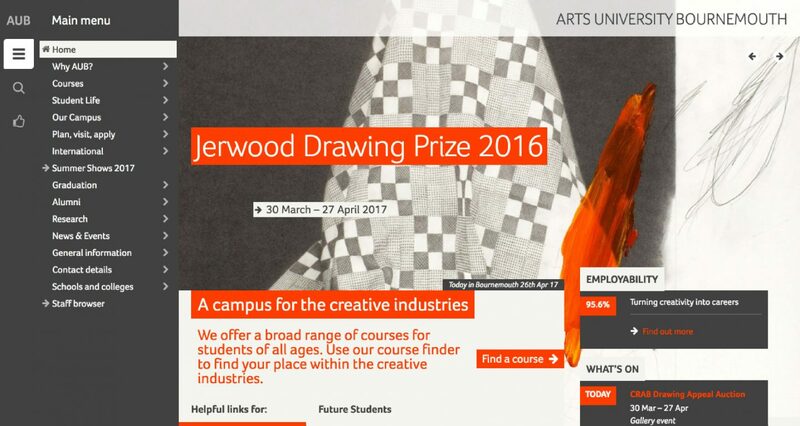 Arts University Bournemouth is a unique institution offering specialised degrees as a gateway into the creative industry. We worked closely with AUB to re-imagine their website, streamlining user journeys for accessible and conversion driven experiences. 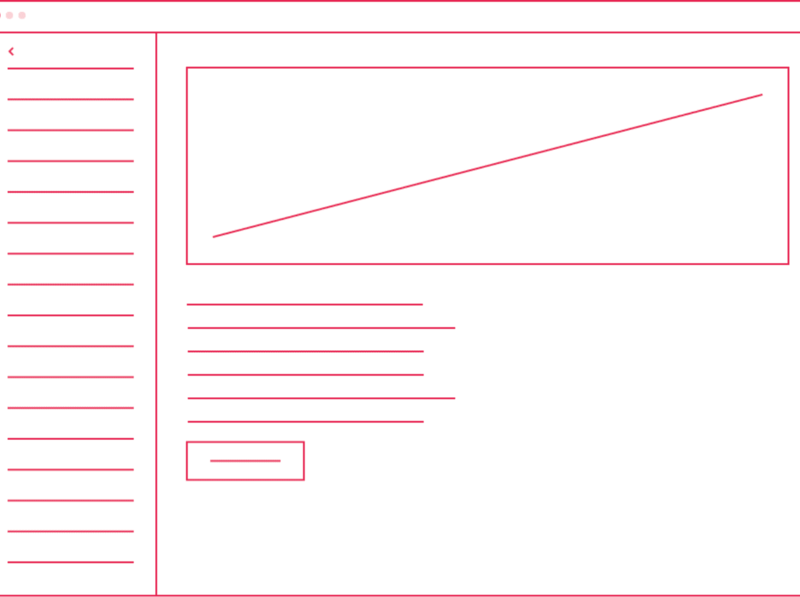 Simplifying the navigation on a site as large as AUB’s was necessary to ensure users find information and opportunities to convert quickly and easily. We took the ageing faceted side-navigation and replaced it with a drop down mega-menu housing top level and secondary level links under clear and concise titles. The previous navigation took up valuable screen real-estate better used for showcasing AUB’s unique courses and campus. It also offered the user a complex menu to navigate. 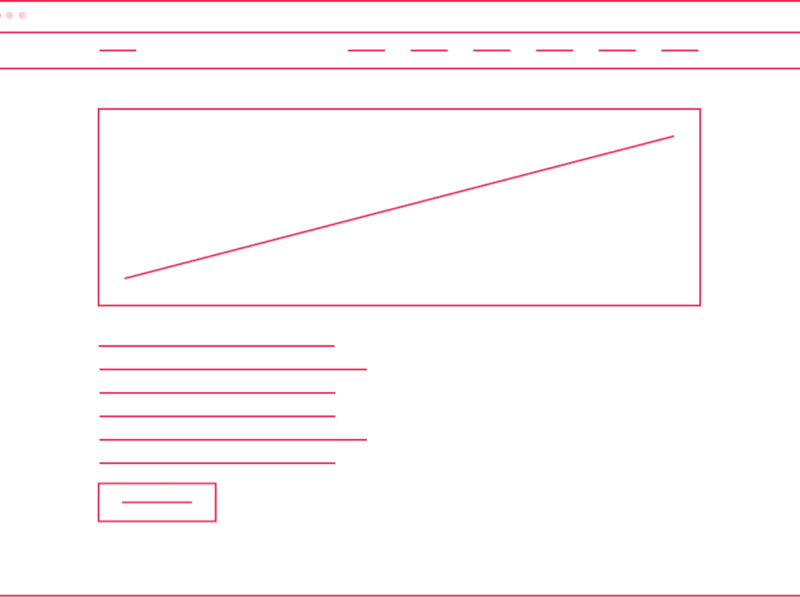 Creating a simplified top band navigation means extra space for content and imagery. It also forced a rethink of user journeys and a consolidation of key sign-posting. As well as redesigning the navigation, we also carried out an extensive reskin of the site to refine the user interface. The new reskin moved the site into a more consistent state of branding and gave us the opportunity to finesse typography, colour palette and imagery ensuring messaging is clear. Creating a unique and intuitive way for users to find their ideal course. A larger factor for AUB’s audience is decisions on what to study so the creation of a course finder enabled this user journey. Our approach was to offer the user a creative way of finding a course that suits their passions and ambitions. By selecting artwork that inspires them, the undergraduate and postgraduate courses are filtered to offer potential students applicable courses. 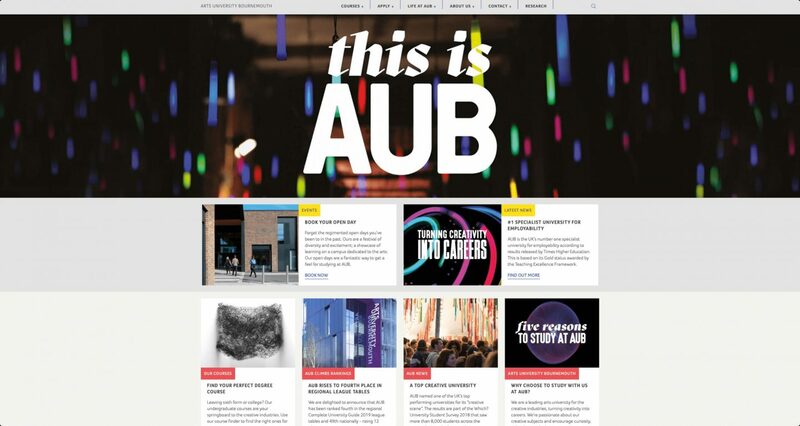 We’re run a selection of different PPC ad campaigns for AUB. 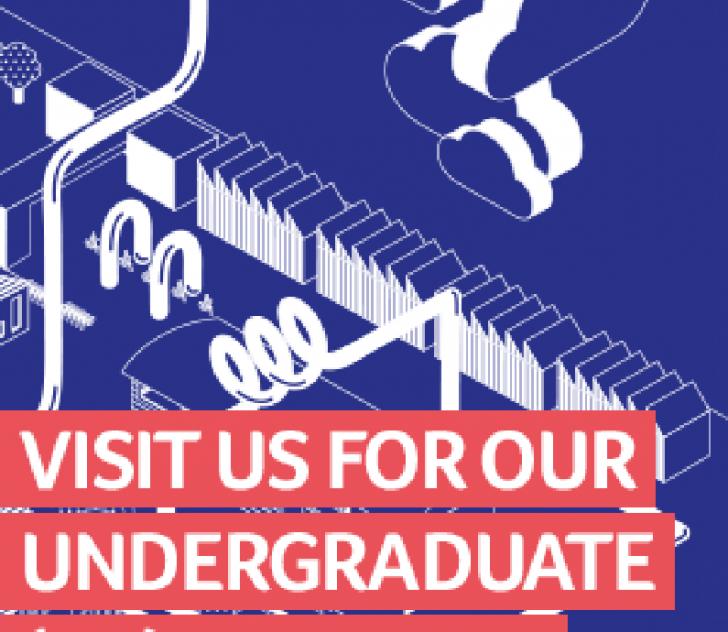 In order to support key marketing deadlines in the academic calendar we have worked with AUB to create, run and consistently adapt and improve Google Ad campaigns. 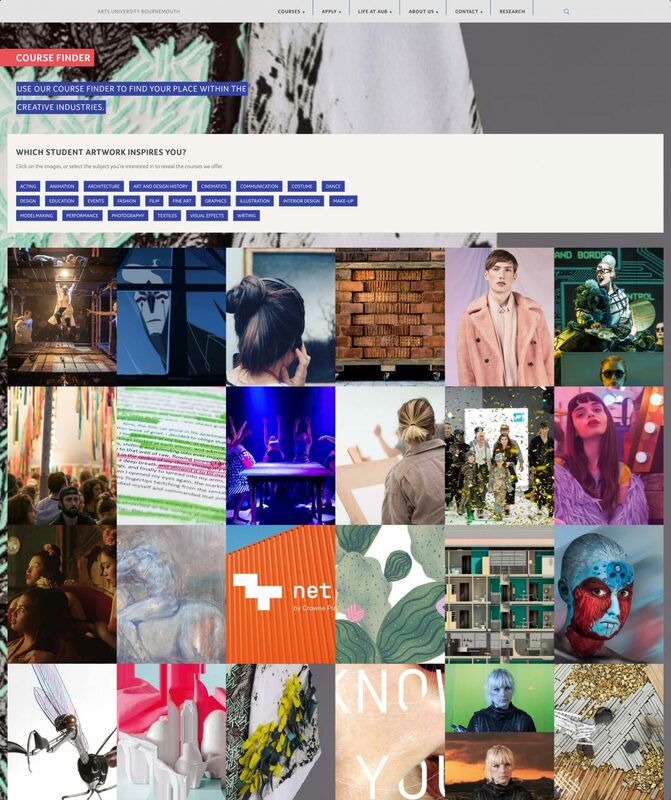 Short and medium-term campaigns have been strategised, implemented, tracked and optimised to drive website traffic, campus footfall and clearing candidates. Integrating multiple campaign types enables us to drive user engagement and Conversions in key areas. Learnings from all campaigns are ploughed into new ventures ensuring marketing work is consistently adapted and improved to force ongoing improvements in key metrics such as: Click-Through-Rate, Conversions and Conversion Rate. It also makes sure we are keeping up with a changing generational audience whose interaction with digital is progressive. 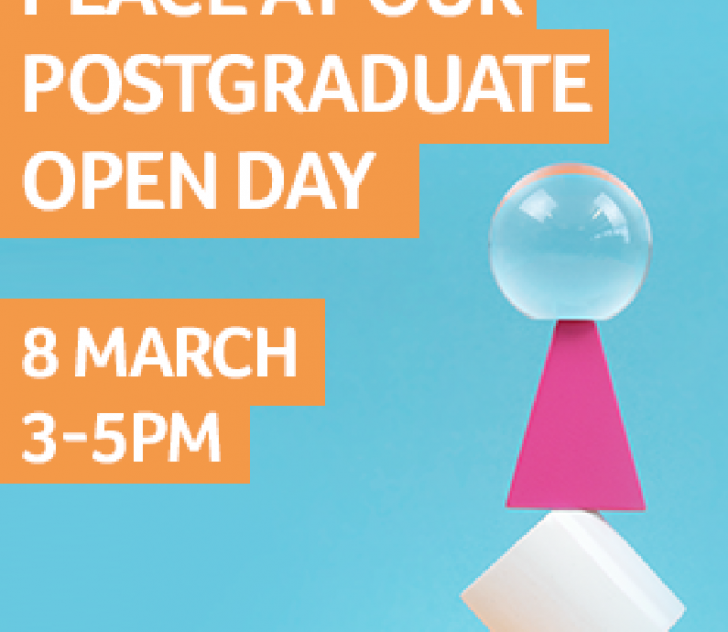 This has led to multiple successful campaigns supporting undergraduate and postgraduate course-fulfilment, open day bookings and annual Clearing campaigns. Inspiring children to learn across the UK.